New Delhi: In an effort to motivate all stakeholders in the rural areas of Punjab to participate in the cleanliness drive, the state’s Minister of Water Supply and Sanitation Razia Sultana launched the “My Village My Pride” campaign, which is part of the state government’s Mission Swachh and Tandrust Punjab (Healthy Punjab) initiative. While launching the campaign to make Punjab a swachh state, the minister expressed that Punjab will surely achieve distinction in the Swachh Survekshan Grameen 2018, being conducted by the Union Government, in which around 6,980 villages in 698 districts across India will be surveyed. The minister further announced that special prizes amounting to around Rs. 1.88 crore will be granted to cleanest village, school, anganwadi (a type of rural mother and child care centre) and health care center in all of the 22 districts in the state. Punjab has always been on the forefront in every sphere of life and on all parameters of human development and we will surely achieve distinction in the Swachhta Survekshan 2018, said Razia Sultana. The swachhta survey will be conducted from August 1 to 31, and the results will be announced in the form of a ranking of all districts and states on the basis of quantitative and qualitative sanitation (Swachhata) parameters. And, the top performing states and districts are expected to be awarded on October 2. During the launch, the minister also launched prizes for the best swachhta champions in all districts. Notably, the selection of prize winners will be done by an independent committee headed by the Deputy Commissioners of the Districts, and prizes will be conferred on October 2. In addition to launching the My Village My Pride campaign, the Minister also inaugurated a swachh mobile application, which can be used by the residents of Punjab to give feedback on the status of open defecation in the state or to demand a toilet (if eligible) and register for activities related to cleanliness drives around their villages. 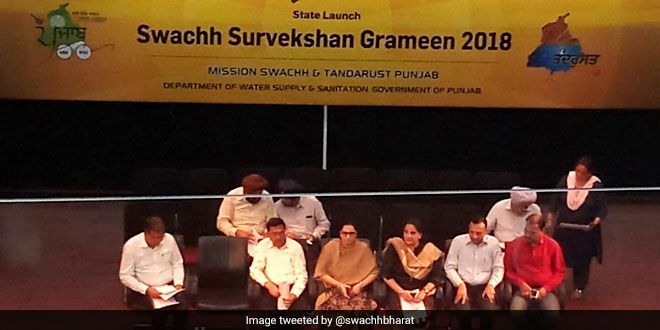 Through this mobile app, we want to encourage the people to give direct feedback on sanitation so that the government’s goal of making Punjab a Swachh and Tandrust (Healthy) state can be achieved with citizen’s feedback on sanitation participation… which is accountable for 35 percent marks in the Swachh Survekshan 2018, said the minister of water supply and sanitation. The minister also appealed to the citizen of the state to actively take part in this cleanliness mission and keep their villages neat and clean. As part of My Village My Pride campaign, the villages will be provided with the environment-friendly technology so the villages can become self-sustainable in every aspect… be it sanitation or infrastructure development. 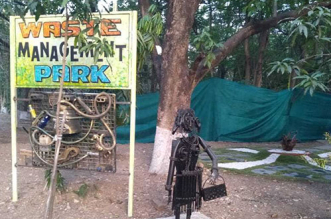 Through this campaign, we will mobilise the people to come forward and contribute towards making their village a model village, which is clean… free from the menace of open defecation, with no open garbage dumps, and have local self-government for development purposes, said one of the officials in the department of sanitation. 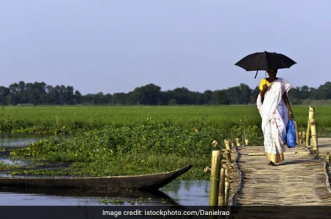 The Union Ministry of Drinking Water and Sanitation has commissioned ‘Swachh Survekshan Grameen 2018’ through an independent survey agency to develop ranking of all districts and states across India. The ranking will be based on a comprehensive set of parameters including district level surveys of public places like schools, anganwaris, haat bazaars, panchayats, and citizens’ suggestions on swachhta and infrastructure development for sanitation. Notably, in both Swachh Survekshan 2017 and 2018, there was not a single city from Punjab among the top 100 cleanest cities on the list of 434 cities covered in 2017 and 4200 in 2018 in the nationwide survey. In terms of sanitation coverage in rural Punjab, which is home to about 12,763 villages, the state has self-declared itself open defecation free post the construction of over 2.73 lakh (2,73,149) toilets after the launch of Swachh Bharat Mission in 2014. The process of ODF validation by the third party is still underway. While the sanitation scenario of Punjab’s urban local bodies (ULBs) has improved dramatically over the last 10 months. In August 2017, none of the 167 ULBs in the state were open defecation free (ODF), and by October, only 41 ULBs (20 in Amritsar and 21 in Ludhiana) got the ODF certification. And now, over 130 ULBs have attained the open defecation free status, while the remaining 37 have been instructed to speed up to become ODF by October 2 deadline.